Some days we feel like we might as well just stop trying to fight it and become a publication that solely focuses on Scandinavian music, seeing as we spend most of our time listening to, and writing about, it anyway. The Scandinavians really have nailed it where it counts. They arguable produce the finest electronic Pop music in the world, they pwn the world of Cosmic Disco, their experimental electronics have a tundra soul that raises it above the rest and they can take Teutonic EBM and somehow make it less embarrassing. Even more amazing is when they blur the lines between styles. DNKL do that. DNKL do that, like, all the time. 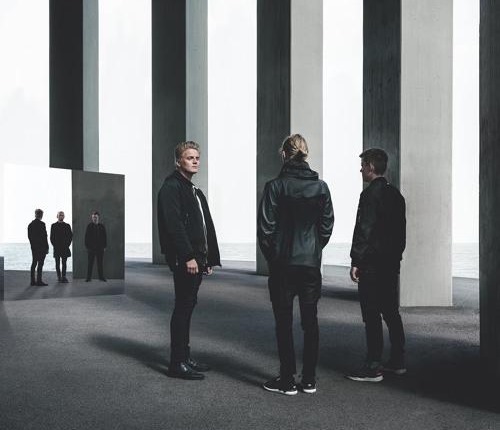 Swedish trio DNKL take a frigid, icy SynthPop sound and warm it up with some bass heavy dance music grooves. For the last few years this outfit have been releasing complex and beautiful dark ElectroPop tracks, heavy with atmosphere, but with foundations of tight and intricately crafted synthesizer Pop. Their new tune, Otherside, comes following up on their début EP, Wolfhour, which received a fair amount of praise on it’s release last year. Since then the guys have been holed up working on new material (we hope for a forthcoming full length release) of which this is the first taste. It’s a departure from their previous offerings, but at the same time not; and not just because contradictory statements are fun. Listen up as DNKL weave a solid Techno groove through their haunting Pop Noir. Otherside has a cheeky little early/mid-90s feel to it too, with snatched drum rolls and a spiky digital bassline giving the track an unusually (for DNKL) funky flavour. Woozy side-chained pads ensure that DNKL’s trademark haze is not missing while the synthesized sax-a-like lead flits between smokey & urbane and slightly otherworldly. Otherside’s mystery tour through moods lends itself to concrete jungle adventures as much as it does to arctic wasteland contemplation, and is perhaps the first original DNKL song that you can get up and dance to. The understated and heartfelt vocals serve as a guide through DNKL’s world, their ebb and flow rushing in and out of the track in ghostly swirls. The more we think about it, the more we’re sure Otherside would have gone down a treat in the Indie clubs of our youth. Warm Dark Night originally appeared on Swedish enigmatic SynthPop outfit DNLK’s recent Wolfhour EP and to commemorate their début UK live appearance (this Thursday at the Lexington in London) they are giving way this reMix of the track from Belgian electronic trio VUURWERK. Both acts lean toward the moodier side of the musical spectrum and this reMix sums that vibe up perfectly. VUURWEK play around with gloomy tones booming bass to soundtrack the original’s vocals. Set to a shuffling, suffering beat, which has a swing not often found in this kind of music, the reMix adds some passionate female vocals to the mix and it heaps on ever more layers of noisy synth work. Gloomy and funky? A combination that works. Sweedish SynthPop outfit DNLK’s new single, Wolfhour, is an absolutely huge slice of heavy, emotional, pulsating electronics that is utterly impossible to ignore. Dramatic, expansive and compelling, the track has now got itself a video. 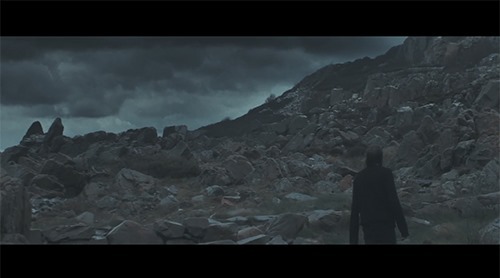 Directed & produced by Eric Ivar Persson, the clip is as epic as you’d expect; utilising windswept, romantic Scandinavian geography to it;s fullest effect. Here’s a new video from smokey Sweedish trio DNKL. 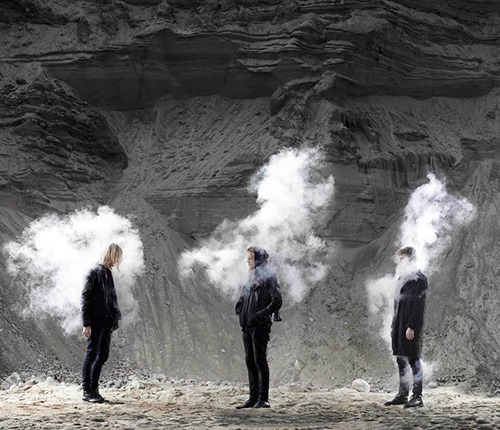 The track’s called Battles and it’s a passionate and grinding slice of moody ElectroPop. Bass heavy and emotionally charged. 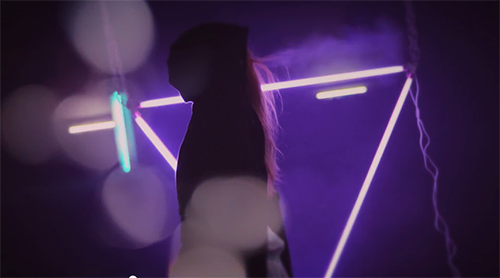 Directed by Tim Winter, the neon soaked video perfectly captures the dark beauty of the track in a urban tale. Download Battled for free here. Check out more from DNKL on SoundCloud. This one has been languishing at the bottom of out inbox this week sometimes that happens when your being inundated minute by minute, but we’re very glad it didn’t pass up by completely. It’s the début track from an enigmatic Sweedish trio called DNKL. We guess, in the tradition of removing vowels from your band name, that DNKL could be pronounced ‘Dankel’, ‘Dinkel’ or ‘Donkel’. We’re going to go with ‘Dinkel’, ‘cos it makes us chuckle. The track is called Hunt, and it’s a glorious slice of post-Chillwave ElectroPop with some of the most intoxicating, warping synth bass you’ll hear this side of a mid-80s movie soundtrack. The wonderful bass aside, Hunt is a brooding and deeply emotional four minutes of cinematic SynthPop. Haunting and atmospheric, Hunt never crosses the line into dark, melancholic maybe, but embodying a kind of optimism, it’s waves of hazy chords and razor sharp leads conjuring the beautiful rather than the ominous. It’s all very Sweedish, that mixture of icy Scandinavian synths and intimate, human vocals, and we love it. And that bass truly is mesmerising.